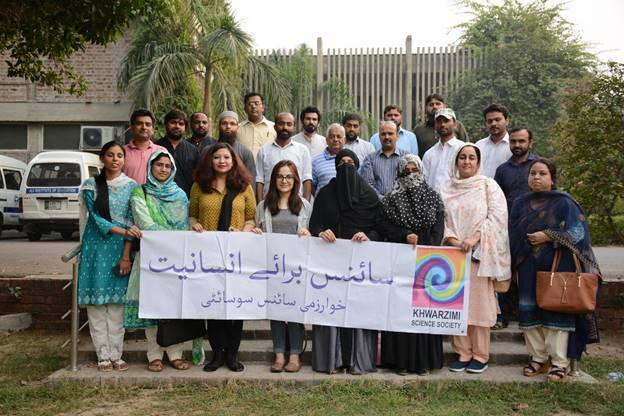 Khwarizmi Science Society (KSS) in collaboration with Ali Institute of Education (AIE) organized a three-day practical physics teacher training workshop. It took place from 25th to 27th October, 2018 at AIE, Ferozepur Road, Lahore. This workshop was a part of the ‘Teacher Training Program – Thought Provoking Science Education’, initiated by KSS and AIE. 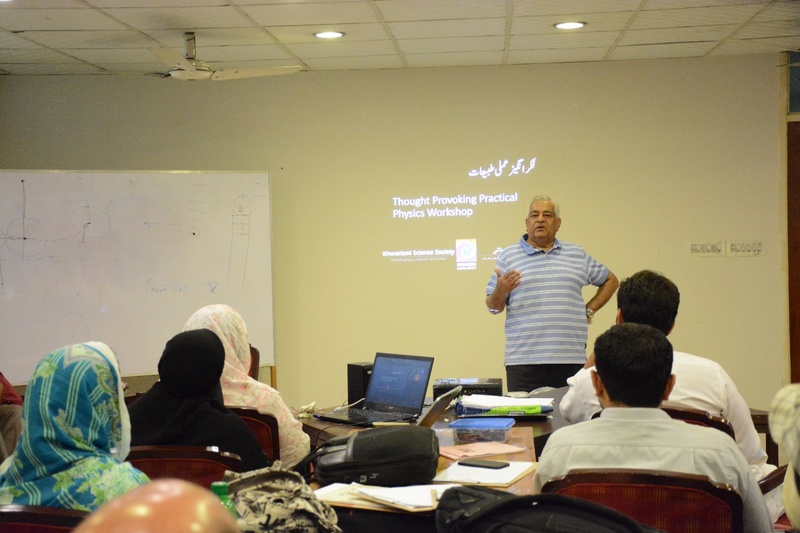 The main focus of the workshop was to minimize the gap between theory and experiments by teaching physics through innovative and insightful experiments. The program was a joint venture of KSS and AIE. Teachers from different schools and colleges were trained to design and deliver Physics experiments to their students using modern gadgets and techniques. The experiments that were covered in the workshop were mainly from optics, mechanics, electromagnetism, and waves. These experiments were designed for matric, intermediate and O Levels students. All the experimental hardware was handmade and built using low-cost items. On the first day of workshop, a lecture on “Commonly Available Tools for Video Motion Tracking” was delivered by Mr. Umar Hasan. Participants were introduced to different video tracking techniques using smart phones and video tracking software. 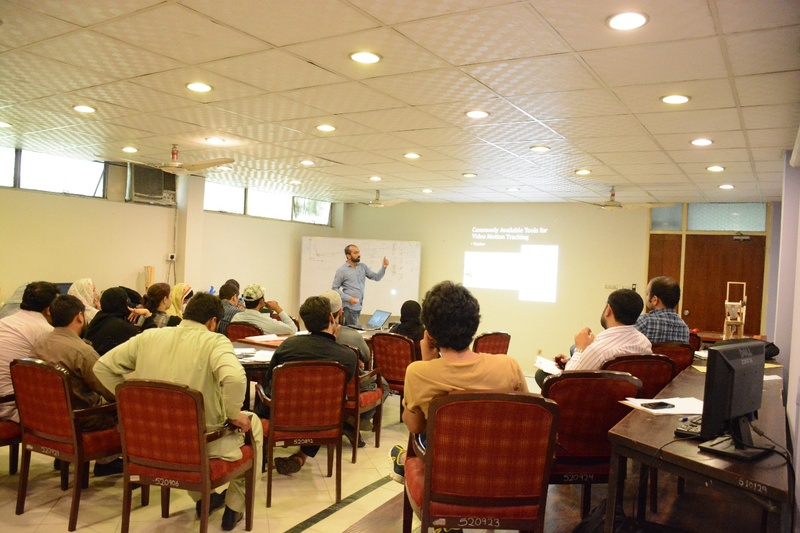 Mr. Umar Hasan, a science communicator at KSS, is explaining different video tracking techniques to the participants. On the second and third day, participants learnt about building science equipment from low-cost items and performed different experiments. The experiments were designed to develop an understanding of the transfer of linear momentum, heat transfer, conditions under which Ohm’s Law is not valid and measuring intensity of a bulb to investigate the inverse square law. A participant is performing an experiment. On the last day, Dr. Siddiqi gave an ending speech and distributed certificates among the participants. 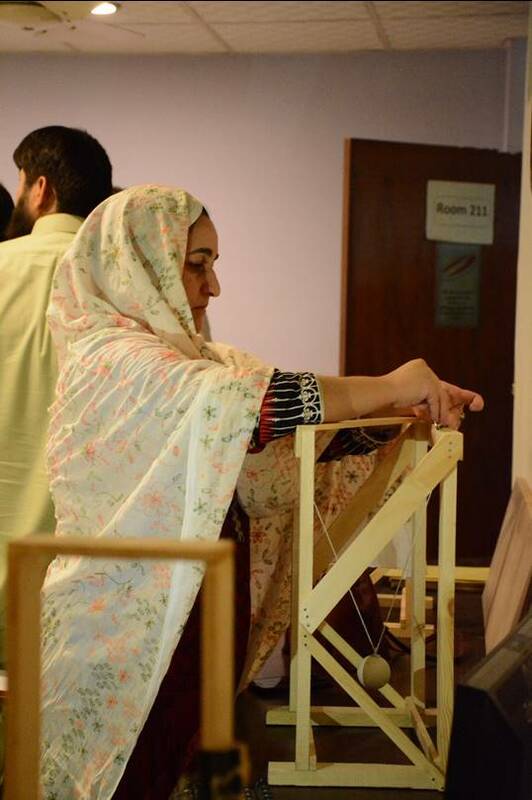 Miss Aamna Saleem, a member of KSS and one of the organizers of this workshop, said that the purpose of this workshop was to innovate teaching methods and reignite passion for physics in students. Mr. Umer Hassan told that the reasons for arranging the workshop were to identify the causes of lack of visualization in students and to connect laboratories to the classrooms. The practical physics teacher training workshop was the first phase of this workshop while the remaining two phases will be held in November 2018 and December 2018, as told by Charisma Wafee, a science communicator at KSS. Next year, biology and chemistry will be the focus of two other workshops. According to me, this training was good. It helped me to understand Physics in a new way. Practical section was good. After this training I am able to teach Physics to my students in a new and easier way. After the workshop, now I can teach my students according to 21st century. I am thankful to Ali Institute of Education for providing me such a platform. Participants with the trainers and organizers of the workshop. Khwarizmi Science Society (KSS) was established in 1997 and is working for promoting science culture in Pakistan’s educational institutions and in general public. It has organized around 200 different activities covering every field of science. It also trains and supervises students interested in science studies. Teacher Training Workshop is an exemplary step taken towards effective science teaching in our educational culture. KSS should expand its teacher training circle to a maximum level because to learn and understand science in exciting and thought-provoking ways is a need of every student in Pakistan.